The tightly curled leaves open in the cup showing the delicate buds, and give a sweet and fruity drink, with a sugary aftertaste. Indispensable. A green tea that does not tire, thanks to its extreme softness. Spring harvest, a bud and the first two leaflets. 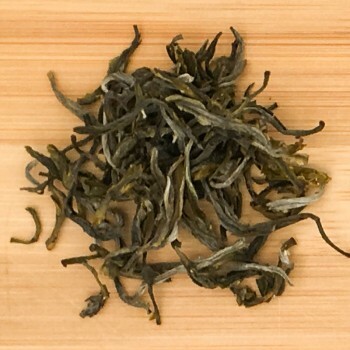 One of the most important Chinese green tea, with delicate leaves twisted slightly to form what are called "the eyebrows of the old". Known and appreciated for years abroad it can be found under the name ZhenMei or Chun Mee Moon Palace. There are different levels and this is among the best, collected in spring. One of the most famous Chinese green tea, which comes from plantations located around the West Lake (Xi Hu) in the area of Hangzhou, in Zhejiang province of China. Beautiful flat leaves and buds, still traditionally shaped by hand during the delicate phase of inhibition of enzymatic oxidation in metal pans placed on fire. The name, "the dragon well", is connected to the legend of one of these mythical animals that lived in the area of the plantation. This tea has won many international awards for its superior taste and fragrance. Harvested exclusively from the spring crops, it is thought to be unparalleled when prepared with the water coming from the nearby spring of "The running tiger". Japanese green tea. One of the best known and appreciated for its healthy virtues, and its low caffeine content. 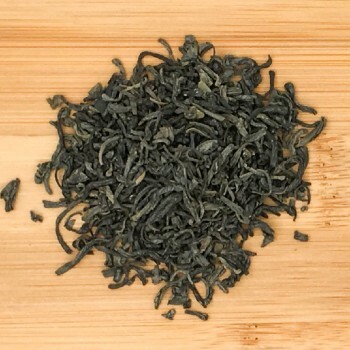 There is a brown toasted version, technically called Houjicha.The Bancha is characterized by its flat developed leaves and its bright green color. It is prepared by using the already developed leaves harvested in autumn. Bancha means "common tea"
Excellent green tea from an area that has always been specialized and renowned in the production of black teas. 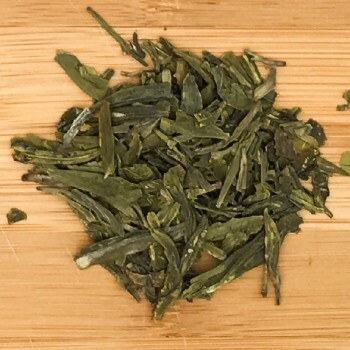 It is close, both in the appearance of the leaves and in the processing, to some Japanese green teas, for its soft and enveloping texture. 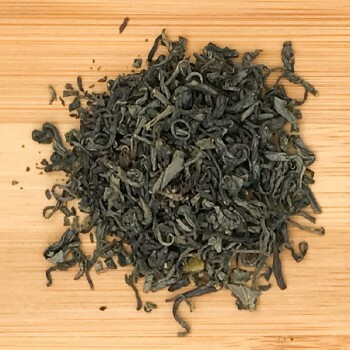 A good quality green tea with small leaves slightly curled, pan fired to stop any fermentation process. It comes from garden certified in Organic Agriculture. It's a sincere tea, perfect at any time, joining the fresh taste with well-known healthy properties of green tea. 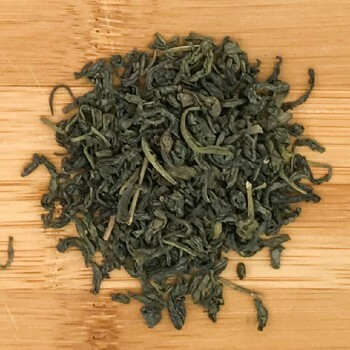 A traditionally worked green tea, coming from the province of Anhui, from cultivations located at high altitude, rich in apical buds, harvested twice a year. It is characterized by the processing of leaves and slightly twisted buds. It is a tea with a particular and flowery aroma, much appreciated by lovers of green tea from China. 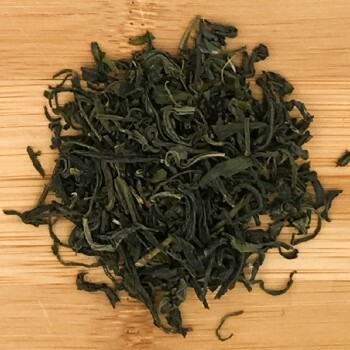 Coming from plants of Camellia sinensis in a variety of local Macrophilla, characterized by large buds and long leaves, it has beautiful buds and freshly curled leaves, covered with soft white hair. Harvested only at the beginning of the spring, it shows in the cup the characteristics of body and aroma typical of Yunnan teas. One of the main products among green teas in China. It is well known abroad for its delicate plum-like taste. 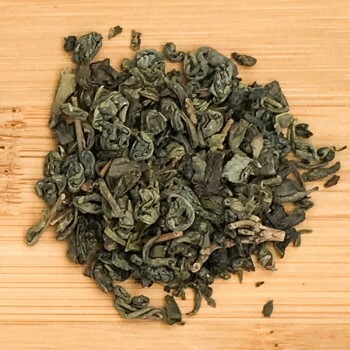 The name - coming from the shape of its tiny and slightly curled leaves - means "old man's eyebrows" and it is reputed as one of the long life and healthy tea in China. Sometimes you can find it under the name Zhen Mei. The most drunk green tea in the world. The name comes from the tiny leaves rolled in the shape of pearls. The original Chinese name is in fact Zhu cha, Pearl tea, transformed in Gunpowder from the British merchants. Low caffeine content, with all the beneficial properties of green tea. Traditionally used in Morocco to prepare Ataay Naa Naa, hot green tea with fresh mint leaves, strongly sugared. 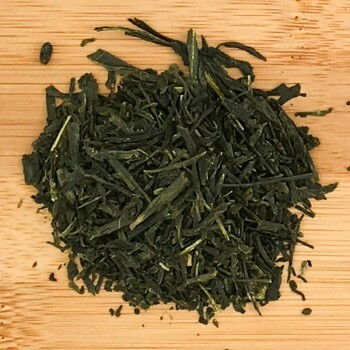 Sencha is the most drunk green tea in Japan, grown in sulight and harvested at 90% at the beginning of May. It is a tea rich in catechins (anti-oxidants compounds) and considered an healthy beverage. 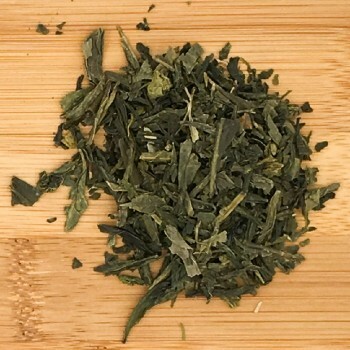 The name Sencha means literally "roasted tea", honouring the old Chinese green tea manufacturing tecniques, the inhibition of oxidation in tea leaves is done by steaming. 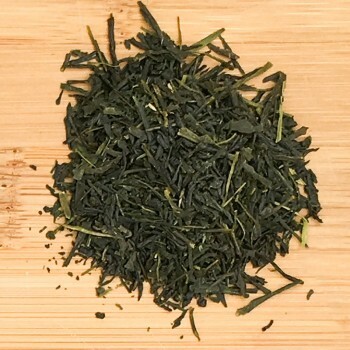 In Japan, the first Sencha is called Shi-cha, NEW TEA, and it is highly prized by tea conosseurs. The name Gyokuro is often translated into precious dew or jade dew to remind its intense green color. The first two young leaves and buds are harvested in spring, from bushes that are shaded twenty days before. It is presented in fine dark green and translucent needles pine. It is a tea that is traditionally offered to special guests, prepared in small porcelain teapots and served in small cups of the same material. 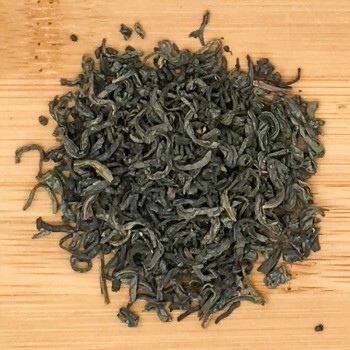 It is a tea rich in antioxidants and one of the teas that contains more L-Theanine, amino acid modulator of the brain's alpha waves, which induce "relaxation" and balance the action of caffeine. It is therefore a precious ally of our health. It comes with thin leaves, worked in the form of pine needles.